Two new books featuring the Cotswold Canals are now available. Sapperton Canal Tunnel tells how a 2.17 mile long tunnel was hewn by hand from the rock and clay of the Cotswolds between 1783 and 1789. 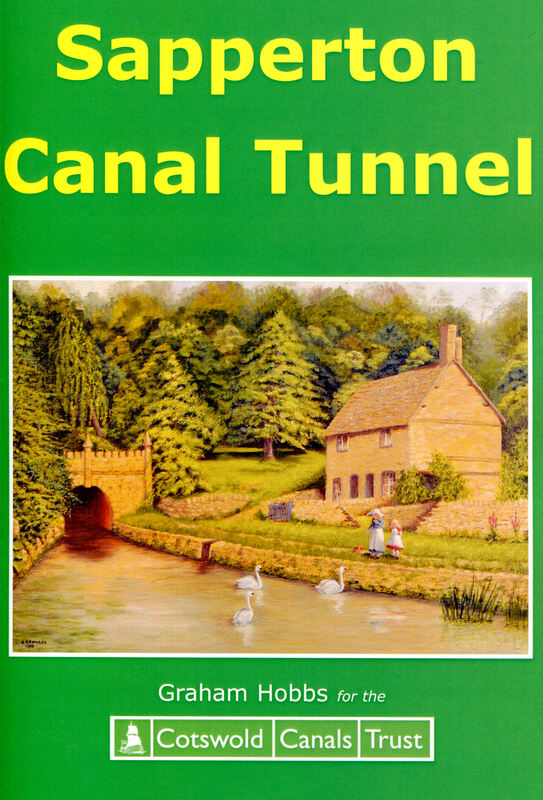 The 2014 Nicholson Waterways Guide now includes the Cotswold Canals! Author Graham Hobbs, a retired primary school teacher, was assisted on this three year project by the pupils of Sapperton C of E Primary School. The enthusiasm of Graham and his young researchers leaps out of the pages. The author’s notes state that the book ‘aims to lead the reader through the story almost as if you were there.’ This aim is certainly achieved. Many previously unpublished pictures and documents add to the experience. The geology of the Cotswolds and the surveying techniques & equipment of the 1700’s are just some of the matters explained. Contemporary press reports and hand written documents have been reproduced together with some revelations about the interesting disparity between local marriages and births recorded during the six years it took to complete the tunnel! An added benefit for the Sapperton School pupils was a visit to the printers to see the results of their teamwork. Click here or on the Stroud Life logo below to see the newspaper’s report on the print shop visit. Click here to purchase the Sapperton Canal Tunnel book online. Well, we have made it! The Cotswold Canals has been deemed worthy of no less than twenty four pages in the 2014 edition of the esteemed waterways guide published by Collins. Jonathan Mosse, the researcher and author, commenced his research for the new Cotswold Canals section of the guide with a late afternoon visit to the Cotswold Canals Trust Visitor Centre at Wallbridge in the summer of 2013. Jonathan explained that he first visited the Sapperton Tunnel and the nearby source of the River Thames as a schoolboy on a school trip. Jonathan's teacher clearly inspired young master Mosse to retain and develop an interest in waterways! Time spent on reconnaissance and research is rarely wasted. Jonathan returned regularly for lengthy discussions at the Visitor Centre between a series of extended research walks taking in the entire 36 miles of the actual and future route of the entire waterway. 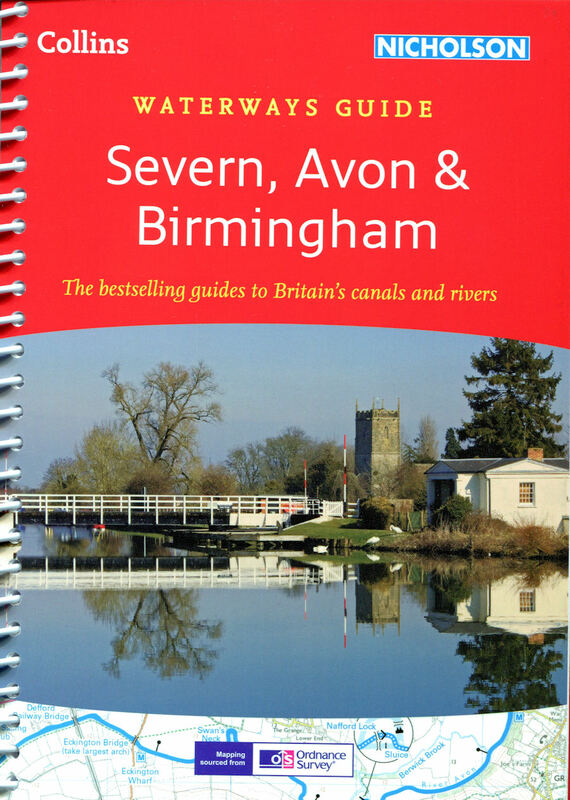 The spiral bound 2014 version of The Nicholson Severn Avon & Birmingham Guide, with the new section on the Cotswold Canals, is now on sale at the CCT Visitor Centres at Saul and Wallbridge in Stroud. An extra nod in our direction is that the front cover of the 2014 guide shows Splatt Bridge at Frampton on Severn on the Gloucester – Sharpness Canal. Click here or on the Collins icon below to learn a little more Jonathan’s work.